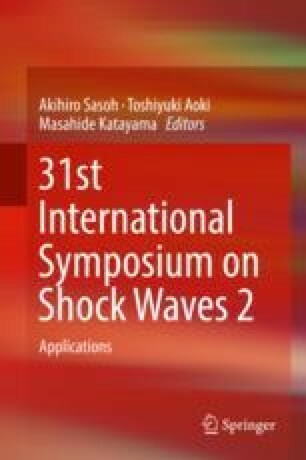 The modeling of rigid body dynamics including the trajectory estimation of a launch vehicle is essential to investigate the effects of various flow interactions with vehicle for possible instabilities encountered in the transonic and supersonic regime. This work presents a systematic formulation for simulation of the vehicle trajectory under aerodynamic forces, which are calculated by solving the Navier-Stokes equations using the open-source software package SU2. A closed-loop computational framework consisting of computational fluid dynamics (CFD) and kinematic equation solver has been developed. This framework (Fdynam) has been used to estimate typical properties of launch trajectory, viz., Mach number vs. time and dynamic pressure vs. altitude, under the effect of thrust, gravity, and aerodynamic loads. A maximum dynamic pressure of 70 kPa and terminal launch phase Mach number of 4.7 have been estimated for National Launch System (NLS1.5) configuration during powered ascent to an altitude of 30 km. The authors express thanks to the Centre of Excellence in Hypersonics for providing infrastructural support toward this work.